Stay connected to the world, in your car! 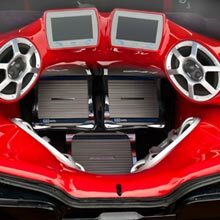 How cool would it be to have your stereo, navigation, remote start, security and MP3 player controlled by your phone? Get custom integration that will keep you linked in at all times! Call today for a FREE estimate on your next sound system installation. 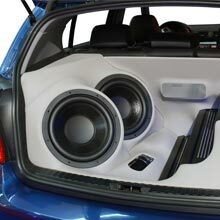 When you are looking for a new sound system in your car, you want to select the right brand, get premium sound quality and get a valued rate. For the quality brands you know and love, come to Infocus Mobile Audio. We have stereo systems, speakers, subwoofers and amps to give you clean, crisp sounding audio.